"Pentagram Perception" by Todd Diederich is displayed at the new exhibit "Chicago Style." Todd Diederich’s work is robust. His passion as a photographer can be measured by the heft of each of his images. Subjects and scenes tell a complete story in each photograph, never leaving room for doubt in their liveliness or authenticity. He captures a part of Chicago far from the sterilized energy of downtown—one that is young and potent. One of his many images, shown left, is on display at "Chicago Style," a new salon-style group exhibition at David Weinberg Photography. "Chicago Style" features 34 Chicago photographers "whose eclectic works," according to the gallery, reflect "the nuanced and refined style of the stormy, husky and brawling city of big shoulders." It runs through February 15, 2014. Diederich hails from Brookfield and attended Columbia College on scholarship before leaving the downtown art school in 2003. Afterward, he left the city entirely, spending time in Athens, Georgia, a city known for its extensive arts and culture community. Diederich eventually moved back to Chicago in 2009. Diederich’s breakthrough came with work for the Chicago Reader and a column with Vice Magazine online. From both experiences, he has gained a greater sense of control of what he photographs and how the images are represented. 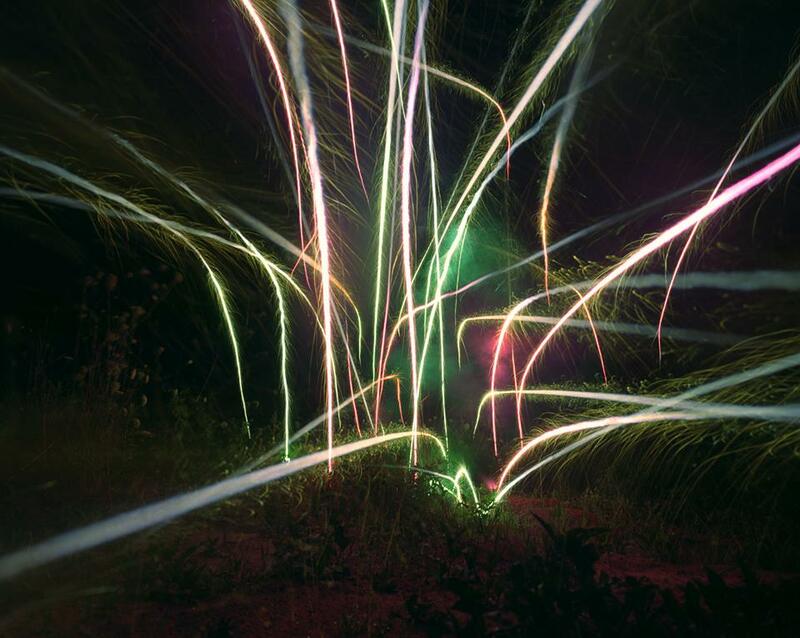 Diederich&apos;s chosen photograph for the exhibit, titled "Pentagram Perception," was taken during his residency with local nonprofit Artists&apos; Cooperative Residency and Exhibitions, or ACRE. Since then, Diederich&apos;s projects have included a successful Kickstarter campaign to fund his first photography book, "Luminous Flux" (the cover of which featured "Pentagram Perception" and was created with the help of Matt Austin and The Perch), an exhibition at Johalla Projects, and directing a music video. His tumblr, Be (T)Odd Die(De)Rich, remains the most prominent and updated source for his work. It is also where he has gathered a substantial fanbase of other artists and creatives. Each blog post gives a look at a sliver of Diederich’s life, and the blog as a whole is a visual diarie that reveals without sacrificing the friendships and bonds he has formed with his subjects. It&apos;s his reality shared with those who may not live in Englewood or attend underground balls, but are curious. Diederich understands this, certainly more than most, and captures within each photograph the complexity of his settings and subjects—their wealth and ambition, their pride and beauty, their youth and tradition. He makes a point of mentioning that he is not afraid of death. And so he makes art that looks like his subjects are willing to die for their performances or relationships or passions. During the course of our two-hour long interview, Diederich recounts stories and anecdotes which are at once humorous, shocking, and unnerving. His use of pineal gland or "third eye" activation plays a large part in his vision, allowing him to unlock a personal vision that captures more than just the essence of his subjects and settings. He also recognizes their humanity and leaves it open to be visually consumed by audiences online and in person. David Weinberg Photography is located at 300 W Superior, Suite 203. Britt Julious blogs about culture in and outside of Chicago. Follow her essays for WBEZ&apos;s Tumblr here and on Twitter @britticisms.